In this episode we discuss 5 Ways to Structure Your Next Real Estate Deal. Entering into the world of creative real estate allows you to design a whole new structure to your real estate business that doesn’t formally fit into “arms-length” foundations. By understanding the legal possibilities, being able to hear a sellers real needs and by knowing how to convey a win win scenario, these real estate techniques will be brand new drawers in your tool box that may tend to get used more than the other oh-so-easy-we-pay-cash-in-three-days strategy. These 5 Strategies will open up your thinking into wealth creation, controllable financing, movable collateral and when properly positioned, allow you to strategically create your own, long term, low interest revolving bank. 0.25: Understanding that cash is the lazy mans most understood way to riches. 15.50: Having an exit strategy on owner financing. 24.22: How this method ends up saving you money over time. 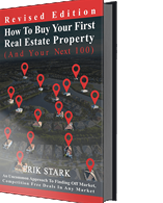 Previous PostPrevious Simple Strategies To Raise Private Money For Your Real Estate Deals. Next PostNext Staying Consistent and Persistent – The “ill Avoided” Truth About Success.